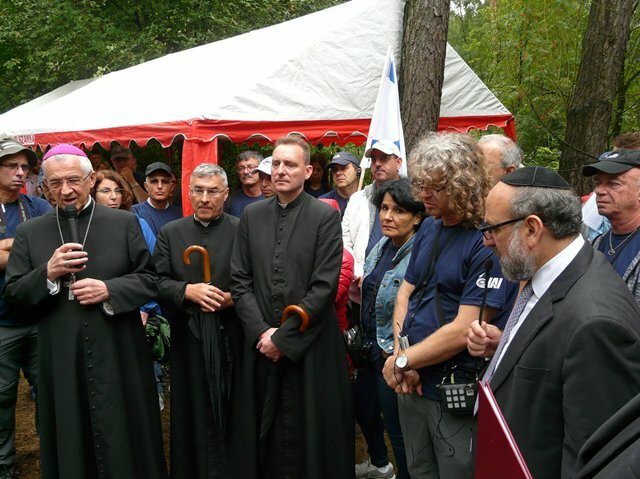 The ceremony was attended by the Chief Rabbi of Poland Michael Schudrich, Catholic Bishop Mieczysław Cisło, Mayor of Olszanka Commune Jan Parol, Deputy Starost of Łosice District Bożena Niedzielak, Catholic and Baptist clergy, Principal of a school complex in Olszanka with the students, a group from Israel and the residents of Próchenki and vicinity. 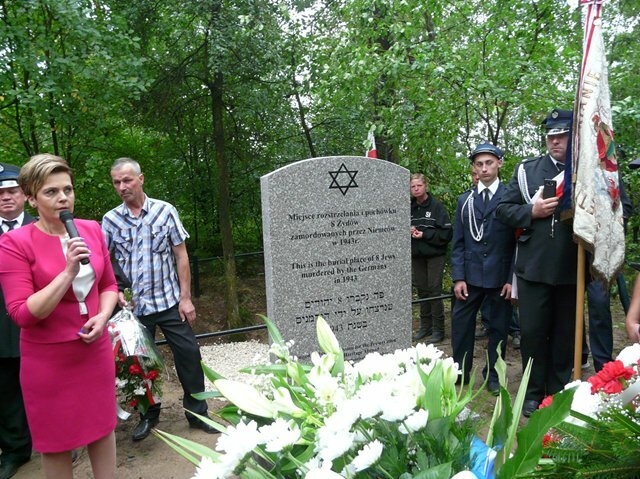 The ceremony was conducted by the President of the Lasting Memory Foundation Zbigniew Niziński. He read the letter of Wojciech Kolarski, the Undersecretary of State in the Chancellery of the President of Poland, addressed to the ceremony participants. Zbigniew Niziński also told the story of the events of 1943. 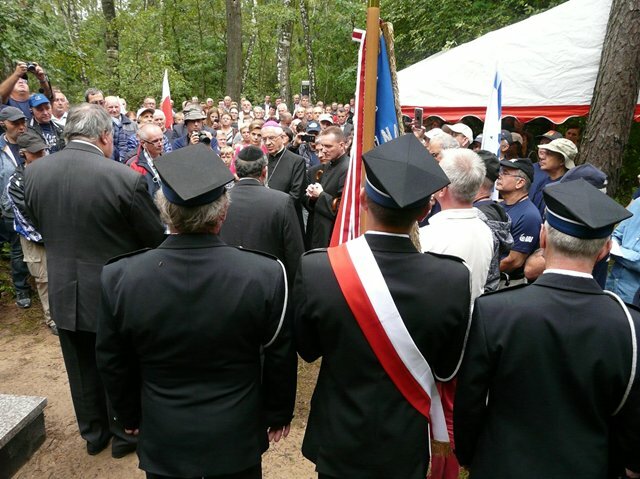 About a dozen of Jews were hiding in a forest in Próchenki in dugouts that they had built themselves. They were killed by German soldiers during a manhunt. After the prayers and words spoken by the clergy, a Holocaust Survivor Felicja Weiss from Israel gave a speech. 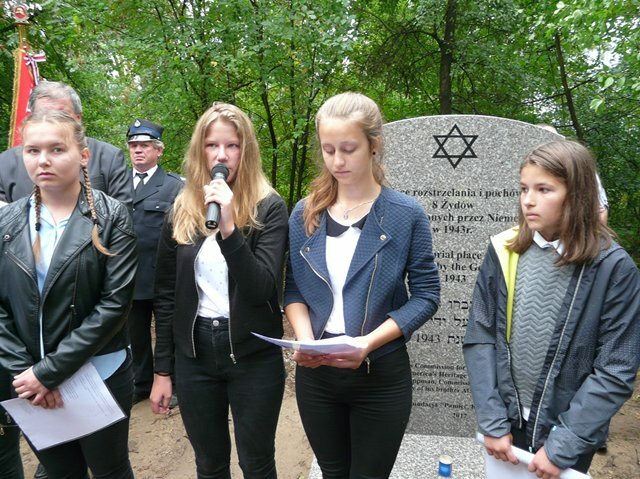 Towards the end of the ceremony, the students of the school complex in Olszanka performed poignant lines of poetry, whereas the visitors from Israel sang their national anthem Hatikvah. 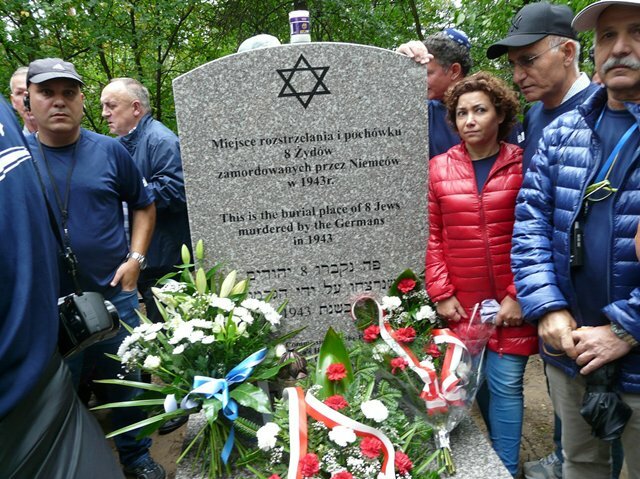 The Lasting Memory Foundation also set up a symbolic Memorial in Próchenki to honor 6 Jews murdered by the Germans in the same manhunt and then buried in an unknown location near the forest. 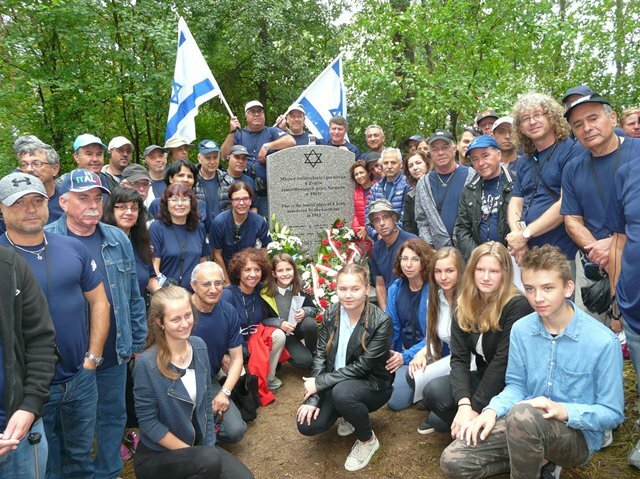 The actions of the Foundation were supported by Harley Lippman and Olszanka Commune Office.